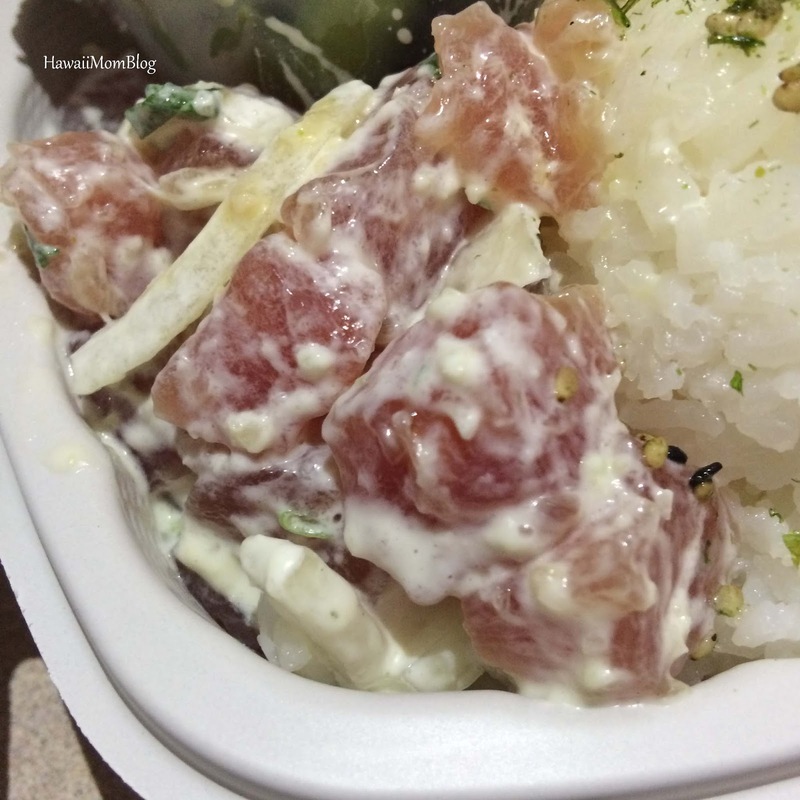 Da Poke Shack in Kona has garnered hundreds of rave reviews, and now those on Oahu can get a taste of Da Poke Shack's popular poke at its Honolulu food truck. Located at the corner of Ward Avenue and Queen Street, Da Poke Shack Honolulu offers the freshest fish in a variety of poke variations. I ordered a Poke Bowl, which includes 1 scoop of rice, 1 side, and 2 seafood choices. 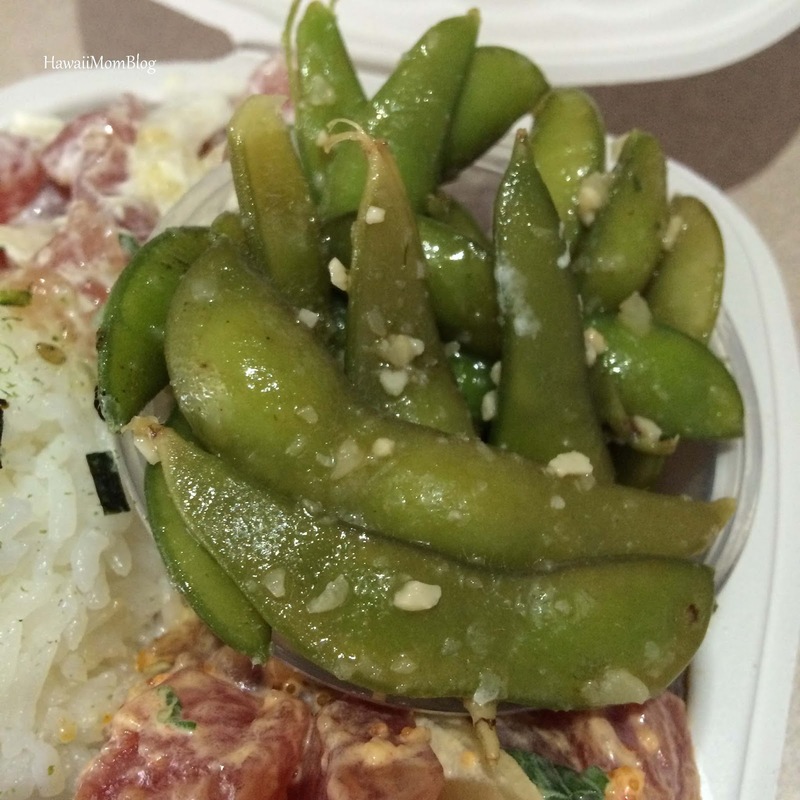 My husband and I shared the poke bowl, so I let him pick the poke. He opted for Creamy Wasabi Garlic and Pele's Kiss. The first thing I noticed was how fresh the ahi was. There was no fishy smell, each cube of fish was firm and bright red in color (beneath all of the sauces and garnishes), and each bite of fish was full of flavor. Pele's Kiss, which includes chili and habanero peppers, had a bit of a kick to it, but it wasn't overwhelmingly spicy to the point where you couldn't enjoy the fish. My husband liked this poke better than the Creamy Wasabi Garlic, which was actually my fave of the two pokes. It had a nice, slightly garlicky flavor, which went well with the crunchy slices of onion. 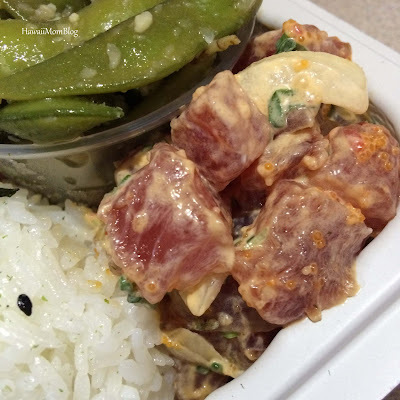 In addition to poke bowls, customers can order poke plates (4 seafood choices, 2 sides, 2 scoops rice), lau lau plates, kalua pork plates, and a combo of lau lau and kalua pork. 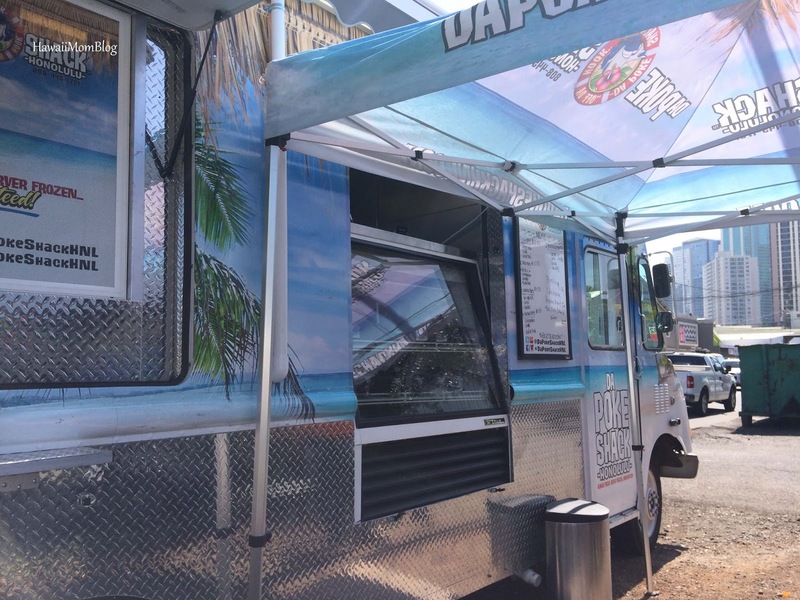 Because of limited parking, it's best to call ahead to prevent a long wait for your food, and also to ensure that Da Poke Shack Honolulu has what you want. 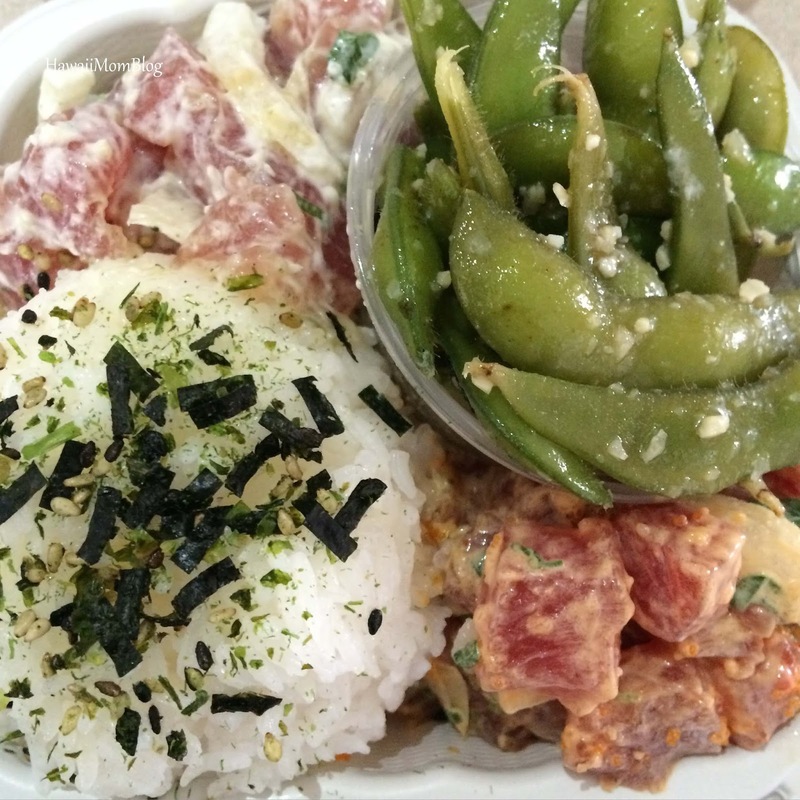 While waiting to order, another customer was waiting for her 9 poke bowls and plates (she is a "regular" and was telling me that I couldn't go wrong with any poke choice). She and I wanted to get a kalua pork plate, but the kalua pork wasn't going to be ready for another hour (she was going to return later in the day; I'll just have to try it on another day). 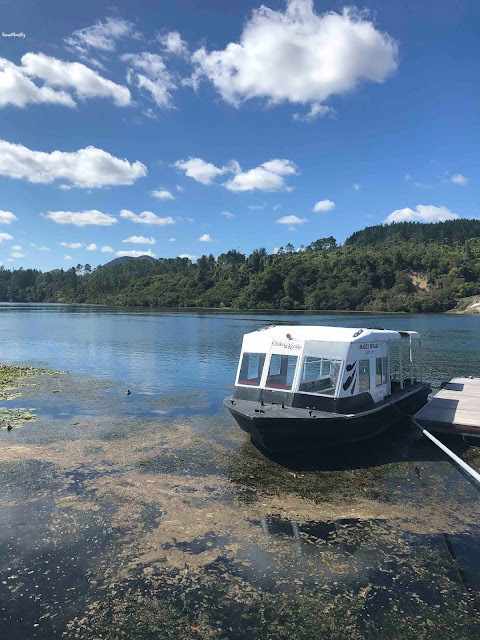 They do have a small tent with tables beneath for those who wish to indulge in their bowls of plates or poke right on the spot. The poke is sold at market price (on the day we went it was $10.50 for a poke bowl), and you can be sure that you'll be getting fresh, delicious poke! 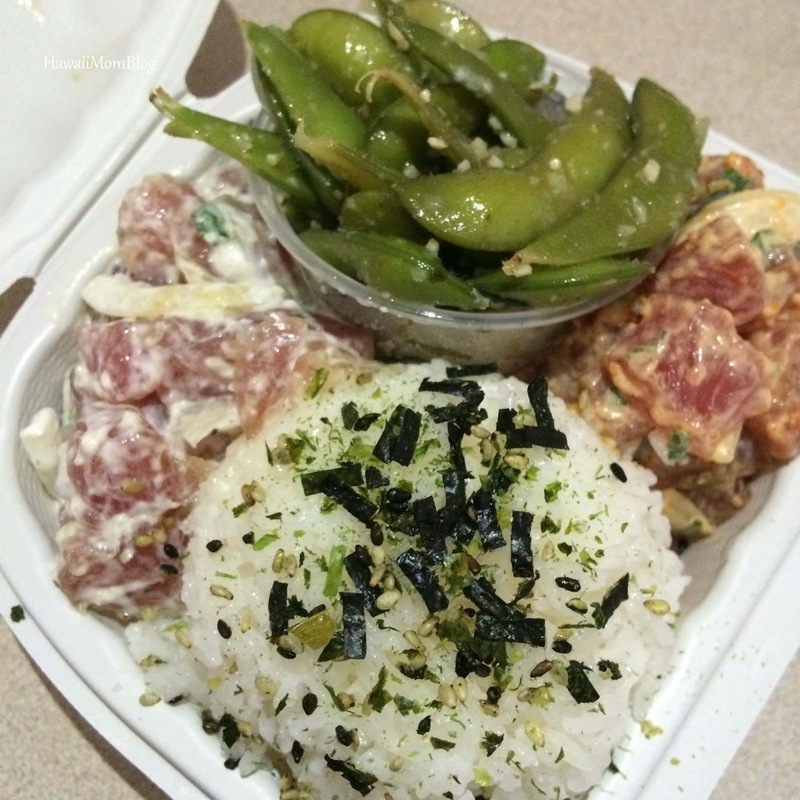 Mahalo to Da Poke Shack Honolulu for the complimentary poke bowl.